Posted byNichole	 May 29, 2017 1 Comment on Where Are You Moving? So where are you moving? This is a question we’ve been trying to answer for months. It doesn’t matter who asks, the answer always sounds foolish coming out of our mouths. I have wanted to make up something that sounds responsible and concrete in order to save my pride, something that makes sense. But then I remember that lies are lies no matter how I may feel in the moment. It’s in those moments that I remember stories from the Bible about what happened to people who told seemingly harmless fibs to make things easier for themselves. It never ever worked out the way they hoped. Not ever. Abram and Sarai ring a bell? 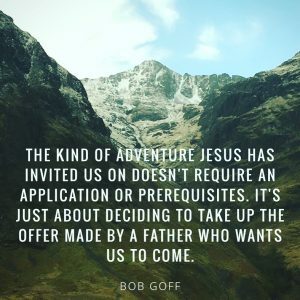 Genesis 12 tells us that God took them on an adventure too. Along the way there was a severe famine so they went to Egypt. Abram (later became Abraham) was worried the Egyptians were going to kill him and decided his beautiful wife might be the solution to saving his life. He told Sarai (later Sarah) to tell people she was his sister. What the what? Next thing she knew she was taken as some Egyptian pharaoh’s wife and ick. Scripture tells us the Lord inflicted serious diseases on the Pharaoh and his household because of this lie. All because Abraham wanted to avoid a sticky situation. Now I know we’re not even near the realm of that kind of crazy, but I hope I have enough healthy fear of the Lord to keep speaking the truth even if it makes me sound stupid. He’ll cover me because he teaches that when I honor him above my own comfort he won’t let me be put to shame. I need that more than temporary embarrassment. We don’t have a final destination in mind yet. For now I can tell you we are going to visit and stay with family in the Seattle area first. From there we’ll drive down to Quincy CA. That’s what we know today. We’re praying and believing God to show us the way to go in all of this. It sounds a little crazy…maybe a lot crazy, but we’re not the first people to do this. We won’t be the last. It’s tempting to wait until I know how our adventure ends before sharing the details with you. However, I believe God is inviting me to risk sharing our story with you as it unfolds mistakes and all. We are messy imperfect people. We are bound to have a few days I’d rather not tell you about, but that’s real life. Who knows, maybe we’ll encourage one another along the way and one Daring Adventure might lead to another. Maybe even yours. I am sure that you guys will end up exactly wher God wants you to be. Very few are in the position to just go and see where God wants to plant them. So, I am enjoying this travellog story. God will bring much to all of us through it. It IS fun to hear of your travels on the exact same path that we have travelled lo these many years (20, to be exact). Our journeys, too have been loaded with God’s grandeur, His compassion, His joy, His beauty, …. And buckets of tears ….. Just ask Dean.